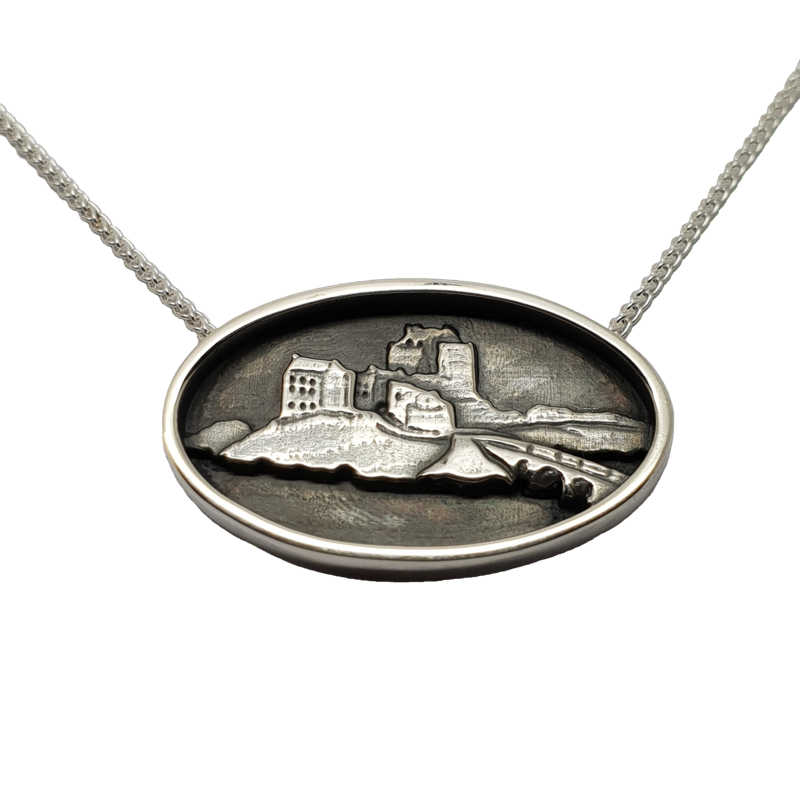 This pendant can be oxidised to darken the silver behind the detailing, as shown in images. 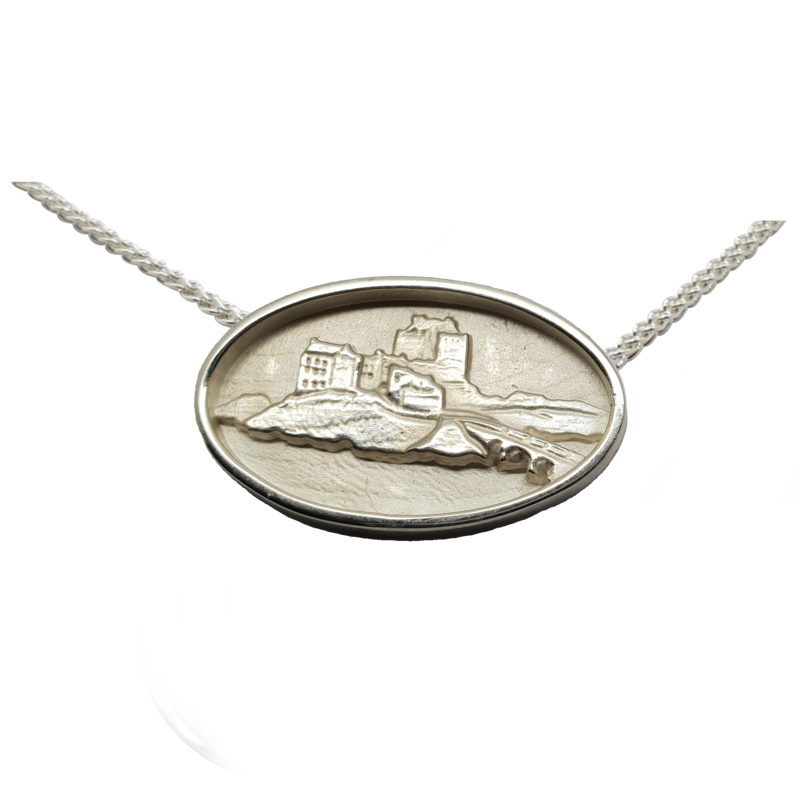 Our Eilean Donan necklet design measures 30mm x 19mm and is presented on a spiga chain which is attached to the reverse of the necklet, creating a total length of 18 inches. I got one of these in rose gold from my family for my birthday and I love it. I wear it at the castle and getting nice comments about it.